Montana Canvas has provided the highest value and quality for decades, and there’s no way we’re stopping now. 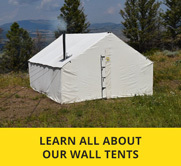 Creating high-quality tents and outdoor products is our passion, and it comes with a dedication to providing excellent and personable customer service. Don’t hesitate to reach out with any questions and we’ll be happy to assist you. 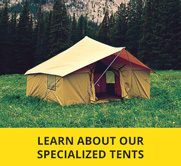 Let us help you make the right choices so you can head out with a tent that suits your great adventures. Montana Canvas is made up of an experienced team of skilled craftsmen who take pride in their work. We have seen first-hand the joy that comes from owning an authentic, heirloom-quality tent. It’s one that can be enjoyed by family and friends for years to come. Check out our other division of high-quality vinyl products for your flatbed trucking needs. 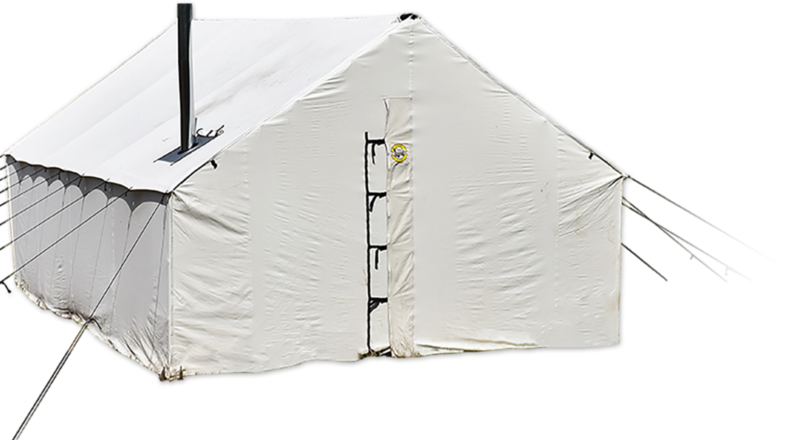 Montana Canvas has been manufacturing quality truck tarps for over 25 years. We are dedicated to using the highest quality materials and are proud to manufacture our products using USA labor and domestic goods at every opportunity.